It’s the second week of a new year and I’m halfway through writing three future retail strategies. Though blurred lines won’t be a new premise for most of you who follow this blog, I thought a handy snapshot of where you can expect them to become increasingly blurred across the year might prove useful as it’s the recurring theme I’m hearing myself explain on a daily basis. 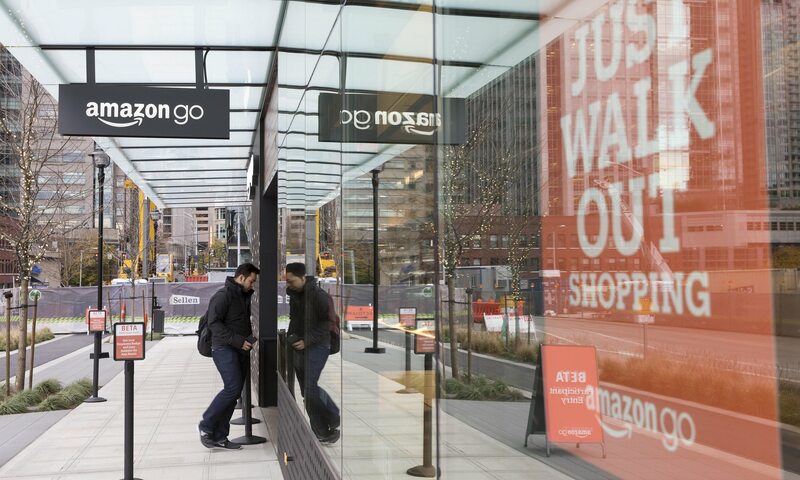 For anyone leading the way when it comes to the conversation between shopping online verses in-store, this will have been on your radar for several years by now, but thanks to Amazon bringing checkout free shopping to bricks and mortar in Seattle, this year comes with a whole new sense of anticipation and threat. Admittedly whilst limited at the moment, given the force behind the world’s 7th biggest brand it won’t be long before they’re popping up all over the globe. The internet will continue to spill out of our mobiles and laptops and into the objects around us, the age of the Internet of Things (IoT) has arrived. Not to be confused with Artificial Intelligence (AI) which is autonomous, Intelligent Assistants (IA) are on the rise at a rapid rate. An IA is pre-programmed with data and doesn’t learn autonomously, this means brands are feeling more comfortable with releasing them into their customer service offerings and consumers are more comfortable with interacting with them. The speedy response negates the desire to have an informal chat with a human over the phone and accuracy is vastly improving. One of the greatest strengths of the internet is it’s ability to merge consumers needs with others that identify with the same. This pier to pier collaboration is defining what habits emerge and what technology enables those habits. Building on this last point, brands are built on what consumers say about you, and thanks to the power of social, what is said is heard far and wide in seconds. You only have to look at the likes of Uber and AirBnB, case studies that are thrown around to show the true power of businesses built on ratings and feedback, to see the reality is that what you say is barely relevant, the true power is with the consumer. Content was King across Web 1.0 and 2.0, Context across Web 2.0 and 3.0. Depending on how sophisticated your brand is, you’re likely somewhere between 3.0 and 4.0 so the consumer is very much your King today. Nike built their brand on the philosophy ‘Know me to serve me’ and it sits at the heart of everything they do. Because technology means consumers can have whatever they want at the touch of a button successful brands have a limited window to ‘listen and respond’. The successful retailer will know what a consumer wants before they even know they want it. It’s clear that the notion of a clear dividing line is drawing to a close.